Shz. 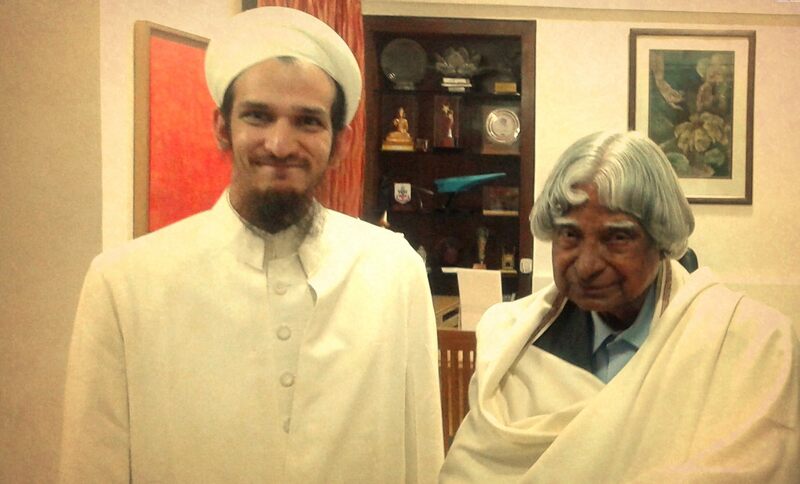 Dr. Aziz bhaisaheb met with Dr. APJ Abdul Kalam at his residence in New Delhi on 10th February 2015. 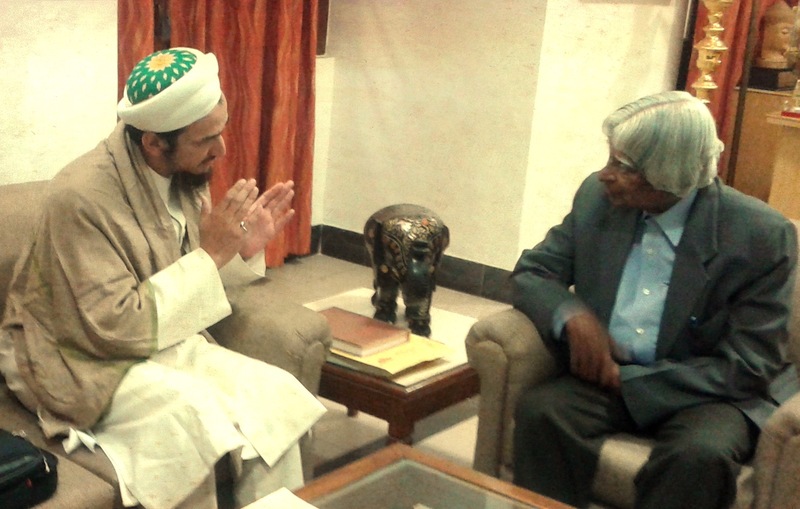 During the hour long meeting, Dr. Aziz bhaisaheb conveyed to Dr. Kalam the greetings and prayers of Syedna Qutbuddin TUS and also conveyed to him Syedna’s vision for education in the community and society in general through the Qutbi Jubilee Scholarship Program (QJSP). Dr. Kalam was very pleased to learn about Syedna’s vision, his efforts for education, and the academic achievements of his family members. Dr. Kalam also enthusiastically engaged in discussion about QJSP and offered his insights and advice from years of experience. He communicated later through email that he would be “available for the QJSP for any advice or suggestions” and conveyed “his best wishes to Respected Syedna Khuzaima Qutbuddin, Head of the Dawoodi Bohra Community and all the members of the community”. Dr. Aziz bhaisaheb presented him with a copy of Golden Panorama and Treasury of Virtues and a customary shawl. Dr. Kalam very graciously accepted and reciprocated with autographed copies of his works, including Beyond 2020. Photos of the meeting are presented on Fatemidawat.com.